The word Columbia had been used since the 1700s to refer to America and its colonies. And before Uncle Sam and the Statue of Liberty came on the scene, Columbia was often used as the personification of the U.S., depicted as a goddess of liberty. 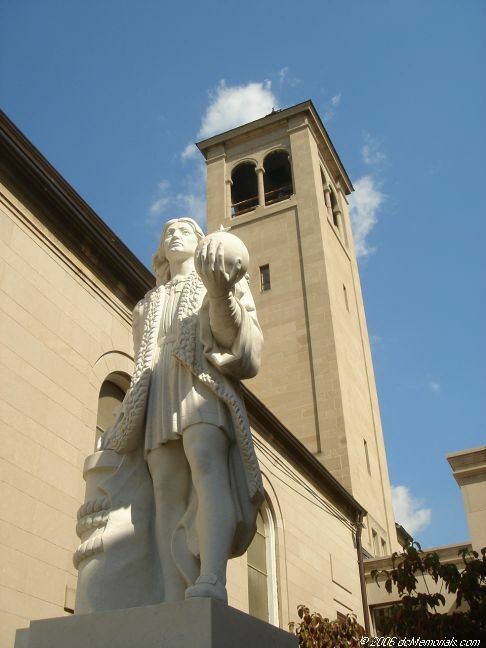 While you don’t see the allegorical Columbia very much these days, you can see Christopher Columbus in a number of places throughout the District that still bears his name. 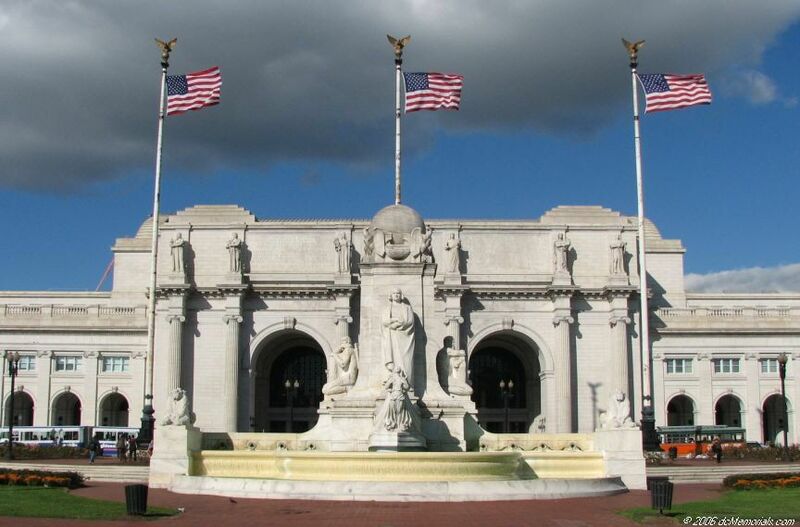 The most prominent is the statue and fountain in front of Union Station. Right now it’s hidden by construction, but should become more accessible as the area is landscaped to make it pedestrian friendly. Another statue is in the courtyard of Holy Rosary Church near Judiciary Square, which is home to Casa Italian Language School (where I’ve taken a few of my Italian classes). And then there’s the Capitol building itself, where even the front doors depict the life of Columbus, and the building’s Rotunda features a large painting of Columbus’s landing. But what’s most Washingtonians’ association with Columbus these days? A day off of work (if you follow the federal schedule), free parking throughout the city, and the District’s bars open until 4 AM the night before. All reasons to celebrate, regardless of the day’s namesake. I never noticed the statue and fountain in front of Union Station – perhaps because the building itself is so impressive. Do you know what that construction is about? Thanks for posting!